Stop, take a breath, and celebrate! High-performance in the social sector is challenging work. Successful leaders are passionate about their mission and driven to deliver excellence and high-quality services that lead to meaningful social change. They are committed to managing to the performance and outcome measures tied to their mission. Establishing high-performance cultures in government and nonprofit organizations has the advantage of creating systems and structures that drive continuous improvement and overall success. If not properly managed, these practices can have an ugly side. Often, high-performing leaders create a culture where everyone is always moving on to the next goal. Conversations revolve around the strategies that need implemented to take the organization to the next level. High-achieving leaders can fall into the trap of spending too much time focusing on the 5 percent that is not working and trying to improve it. They forget to pause and celebrate the 95 percent that is going well. Here are three reasons why high-performance leaders must be intentional about infusing celebration into the organization if they want to see lasting and sustainable social change. Celebration Prevents Burnout: The social problems of today are complex. Depending on the issues, population level change may take years to see ones’ work come to fruition. For example, one of our clients is trying to reduce the number of children with a mental health diagnosis from the current state of 1 in 5 to 1 in 10 children. Dealing with youth and families who have experienced crisis and trauma is challenging work and has a high rate of burnout. Recognizing the progress that has been accomplished, no matter the size of success, motivates staff to move forward and provides them with the confidence needed to build upon future success. 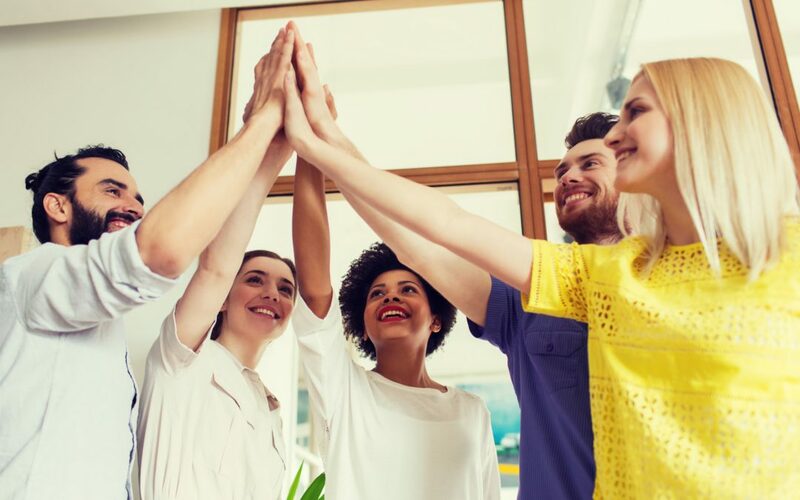 Recognizing Success Leads to Greater Productivity: Studies have shown that within all sectors, meaningful recognition is correlated with employee retention, good morale, loyalty, commitment and satisfaction in the workplace. Organizations with effective recognition programs have strong leadership participation and supportive cultures. These organizations increase job satisfaction and productivity by communicating and celebrating their staff’s hard work. They provide linkages between employee efforts and the impact and outcomes the organization contributes to the community. Communicating Success Educates and Bonds Staff and Stakeholders: Donors, volunteers, and staff are committed to social sector organizations because of the organization’s mission. When measures are used as positive internal management tools, they allow employees to know precisely how they are making a difference and contributing to the vital mission of their organization. Such a practice may also inspire donors to see how they can increase their impact. Effective forms of celebration don’t need to break the bank, but they do need to be intentional. Potlucks, pizza parties, an afternoon off, a day’s vacation or an organization-wide picnic are a few of the ways nonprofit and government organizations might choose to celebrate the impact staff and volunteers are making to the organization and its mission. When presenting an award, high-performing organizations place an emphasis on how, specifically, the individual or team contributed to the increased outcome measures. Celebrating success leads to increased success in the future. Here at Measurement Resources we practice what we preach by celebrating the success of our clients, partners, and team by holding an annual impact partners event. This is a casual cocktail reception where we show appreciation to our stakeholders and guests network and share ideas. This year’s celebration was particularly special as it was in honor of Measurement Resources 10th year! This video provides an example of how we celebrated our success and that of our clients. Measurement is the first step in the development of a high-performance measurement culture. Without success measures it is hard to celebrate success! Measurement Resources is here to help you establish your impact measurement framework in order to move your mission forward. Contact us today to schedule a call to explore how we can take your organization to the next level.